As many of you know, I have been trying my very best to prevent the overuse of Valor and Reflex in soybeans, especially for growers who also plant cotton and peanuts. Growers who want to protect Valor and Reflex (PPO’s) have many other PRE options including Dual, Warrant, and metribuzin. For you Roundup babies out there, let me remind you of a few things about metribuzin. 1) Metribuzin used to be sold under the trade names of Sencor (Bayer) or Lexone (DuPont). Many moons ago, about 20% of the US soybean crop was treated with metribuzin. 2) Current trade names for metribuzin include the following: Tricor, Metribuzin, Dimetric. 3) Metribuzin is also a component of many soybean pre-mixes including the following: Authority MTZ (metribuzin + Spartan), Boundary (metribuzin + Dual Magnum), Canopy or Canopy Blend (metribuzin + Classic) ), Intimidator (metribuzin + Reflex + Dual Magnum), and Trivence (metribuzin + Valor + Classic). 4) When using metribuzin in soybeans, soil type, OM and pH are very important. Metribuzin should not be used on coarse soils (i.e. sandy loam or loamy sand) with less than 1% OM and/or in soils with a pH greater than 7.5. Refer to the individual product labels for more specific information about use rates, soil types, and organic matter restrictions. 5) Metribuzin is in the same herbicide family as atrazine (triazine). Metribuzin is a PS II inhibitor (WSSA Group 5). 6) Metribuzin injury symptoms on soybeans are presented in Figures 3 and 4. Figure 3. Metribuzin injury on soybeans. Figure 4. 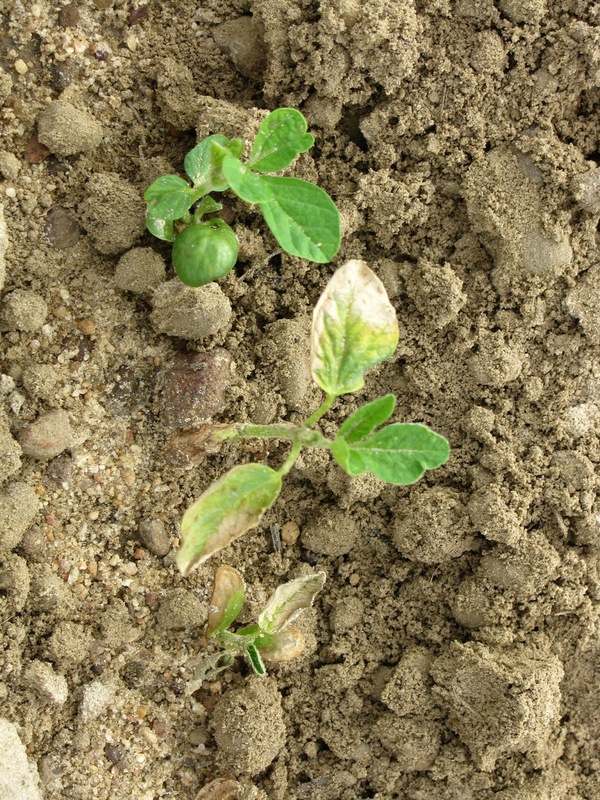 Metribuzin injury on soybeans. Posted in Soybeans, Weed Science. Bookmark the permalink. Next: Start of the Peanut and Cotton Crop! !